At a news conference for China’s National People’s Congress (NPC) Standing Committee last Sunday, an amendment of the Family Planning Law was announced to cancel China’s so-called “late marriage leave” (晚婚假). The amendment to the family planning law has come into effect on January 1st, 2016. Most newlyweds were previously entitled to a 3-day marriage leave plus the additional ‘late marriage leave’ that ranged from 7-30 days, depending on local policies. 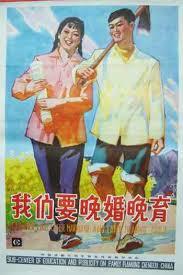 In China, the legal marriage age is 22 for men, and 20 for women. The ‘late marriage leave’ was meant for anyone who got married three years after their legal marriage age. With the revised policy, all Chinese newlyweds, no matter age or location, are only entitled to a 3-day leave. 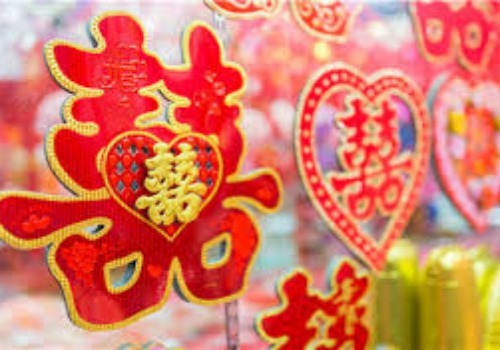 The late marriage leave was introduced at the time of the one-child policy to encourage people to postpone marriage and childbirth (“晚婚晚育”) in order to help control China’s population growth. Now that China has started to adopt the two-child policy, the government no longer intends to encourage people to marry later on in life. 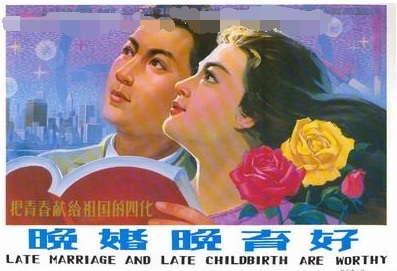 Propaganda posters encouraging late marriage and late childbirth. On Sina Weibo, thousands of netizens commented on the news under the hashtag of “late marriage leave cancelled” (#晚婚假取消#). Many of them speak out against the new policy, believing that couples should be allowed longer paid leaves, also now that the two-child policy has been implemented. According to Zhang Chunsheng (张春生), the head of legal affairs at the National Health and Family Planning Commission, the average marriage age for Chinese is now 25. This is already older than the previously established ‘late marriage’ standard age. Employees working at state-owned companies in China are entitled to five days of paid vacation per year. The late marriage leave is very important for many of them. Over the past few decades, Chinese couples have come to view the ‘late marriage leave’ as their right. Now that this right has been taken from them, many go online to vent their anger and voice their disappointment, saying they were already looking forward to their late marriage leave for a long time. According to some netizens, the 30-day paid marriage leave was “the sole motivation to tie the knot”. Aside from the worries of not getting that much-needed vacation, many netizens also worry about more practical issues, fearing that three days is not enough time to prepare for the wedding, let alone to go on a honeymoon. A number of Weibo users also criticize the government and the Party from a human rights perspective. “How many kids we want should be our own business. It’s our rights. But in China, it’s decided by the government. No wonder so many Chinese choose to migrate to other countries,” one user says. The amendment has led to a wave of last-minute marriage registrations. Since it passed on December 27, many couples rushed to get registered by January 1st so they would still be entitled to the late marriage leave. According to the Beijing Civil Affairs Bureau, there was a 30 percent increase in marriage registrations compared to the same period last year. In Shenzhen, the wedding registration offices were flooded with couples who hoped to get registered before the new rule would go into effect. “Getting registered for the sake of the late wedding leave” (#为晚婚假扎堆领证#) even became a hot topic on Sina Weibo. One Weibo blogger predicts that China’s divorce application offices will be packed within a year. Another netizen agrees, and says that in China, marriage choices are distorted by policies. “And that is pathetic,” he concludes.